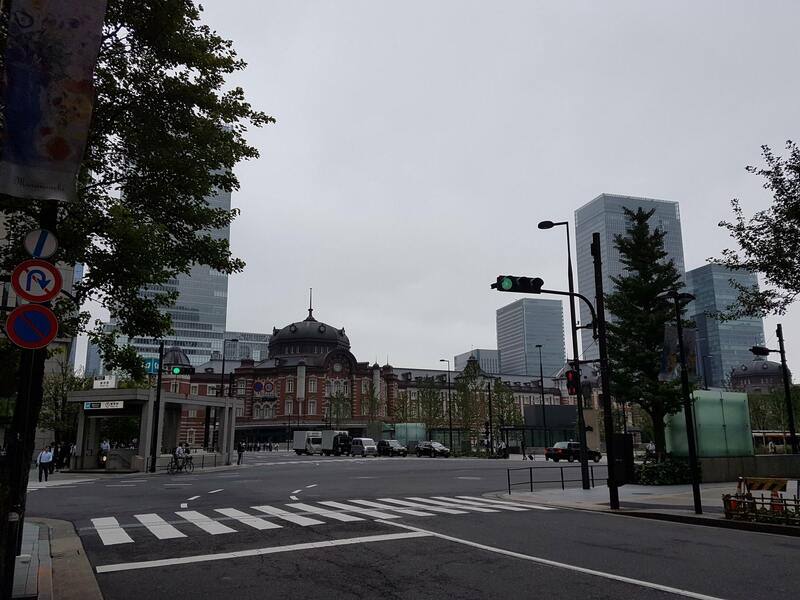 My first full day in Tokyo! Things got started nice and early, which was great for getting to see the city before rush hour hit but not so great for finding a restaurant that was open for breakfast. I settled on a small western café called Dean & DeLuca, whose menu was mostly in Japanese but which catered to more English speaking guests than I’d seen so far anywhere else. 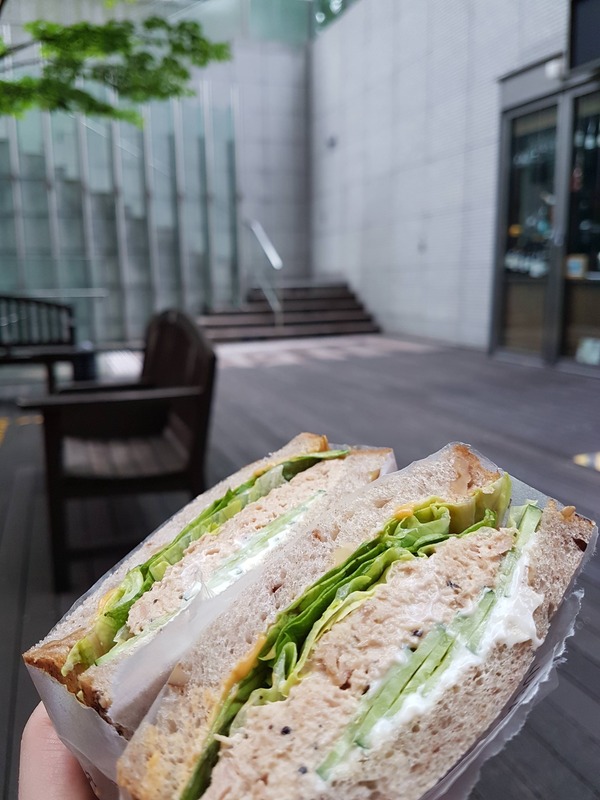 I had their tuna sandwich on “pecan bread” out in a small courtyard that sits between some of the underground pedestrian tunnels folks were using to get to work. That’s one thing I didn’t expect to find here: lots of green spaces that you can sneak away to for some quiet in the middle of the day. Today marked my first day taking the subway. Tokyo’s transit system is a bit confusing, but not nearly as confusing as it should be given the city’s size, the number of companies that run trains, subways, and buses, and the number of people who all know where they’re going when you do not. Instead it’s very well organized: there are colour-coded signs in Japanese and English all over the place, and the info maps are close enough together that if you get lost (like I did in JR’s Tokyo Station), you’ll get un-lost quickly enough. As a history teacher, I couldn’t pass up a chance to tour the Imperial Palace downtown. 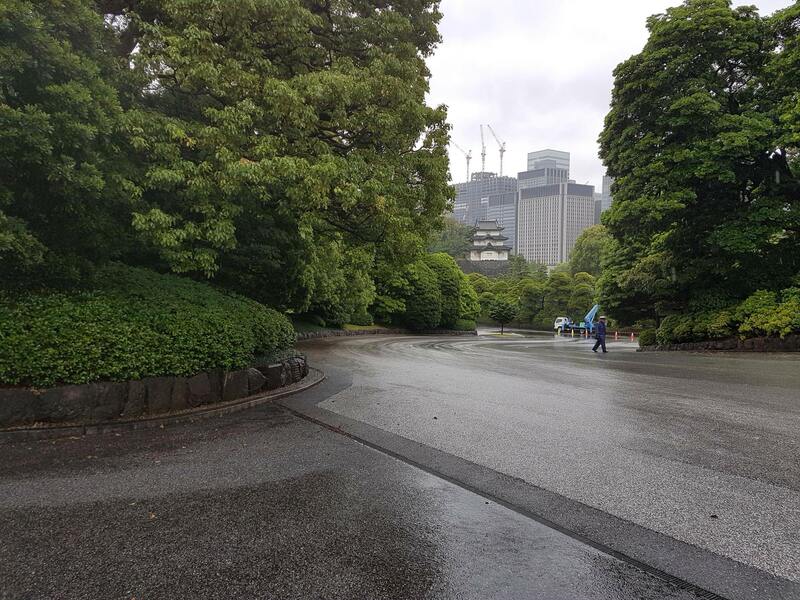 The palace, built where Edo castle once stood, has some stellar gardens and a handful of 17th century watchtowers that you can get pretty close to. Tours are free and offered in Japanese and English, and if you plan ahead of time you can download an audio guidebook for some extra tidbits as you walk around the grounds. 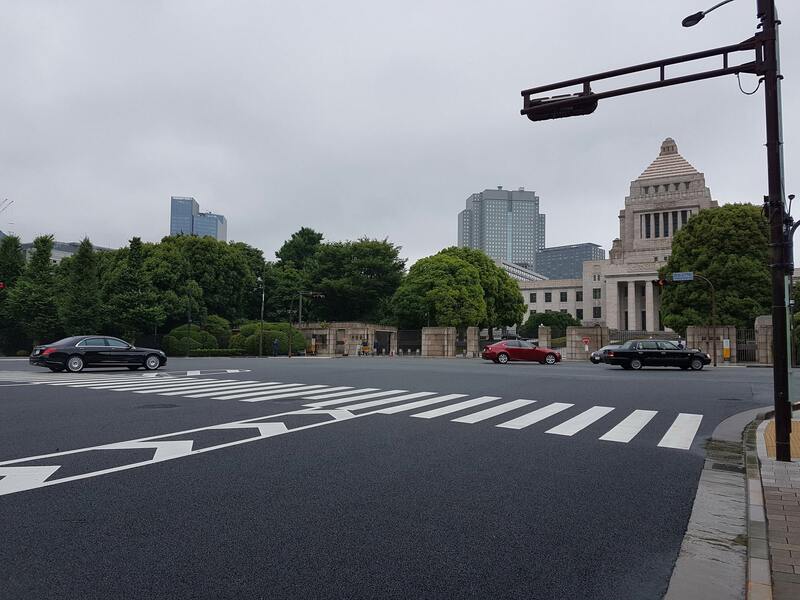 After the palace I walked down to the National Diet (Japan’s legislature), which is also surrounded by a wide range of government buildings. It didn’t look like I could tour inside most of these, which was a shame, but they were nice to wander by and gave me a better sense of what the city feels like on a Friday afternoon. 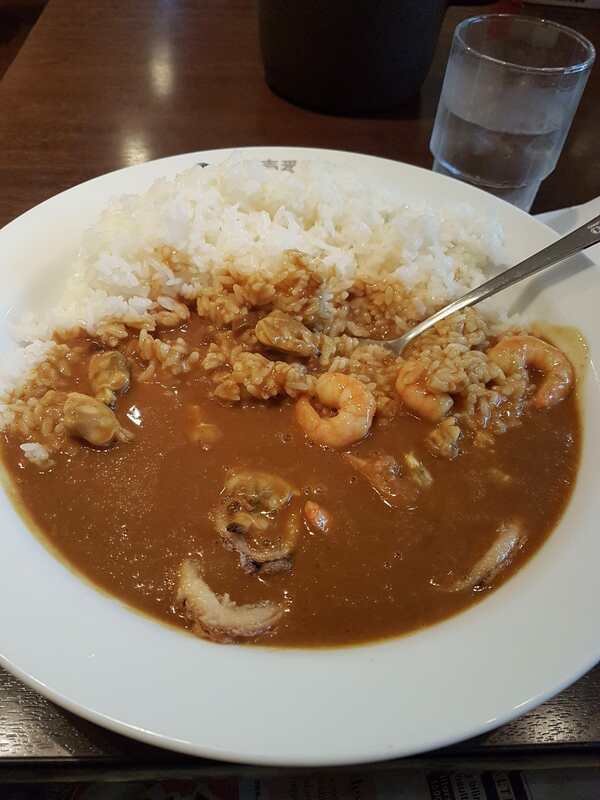 I stopped in for lunch at CoCo Ichibanya Curry House not too far from a Shinto shrine I wanted to visit. Most of the other guests were office workers on their lunch breaks. Mostly regulars, it seemed, but the waitress was very helpful and the menu had loads of options. I went with a seafood curry that had shrimp, octopus, and a couple other I-don’t-know-what-those-were-but-they-were-tasty. 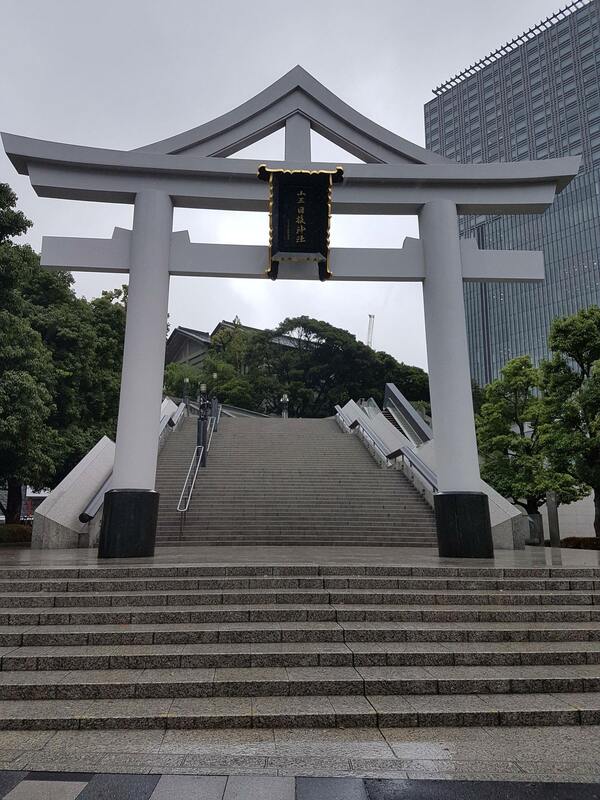 The Hie shrine sits at the top of a hill with a staircase (and escalator) leading down to the city below. Out front there are a number of lanterns set up for the Sanno Matsuri Festival, which is on until the 17th. I didn’t stick around for the festivities but the shrine itself was peaceful and worth visiting if you’re interested in history and culture. On the train back to the hotel I found out that my route was ending 1 station short of my hotel. Not a huge problem, save that this other station A) had 4 different exits and B) my phone has decided it does not like loading maps anymore because it takes joy in watching me struggle. Again Tokyo’s organization came to the rescue. Every few blocks there are info maps that outline where you are, where subway stations are, and where to find nearby landmarks (like that hotel you want to get back to). That’s all for today! Next is dinner and a walk down to the park I can see from my room. See you tomorrow!